Skopje and Sofia, barely 200 kilometres away, have never been connected by train although the two countries share a long history, a common border and an almost identical language. 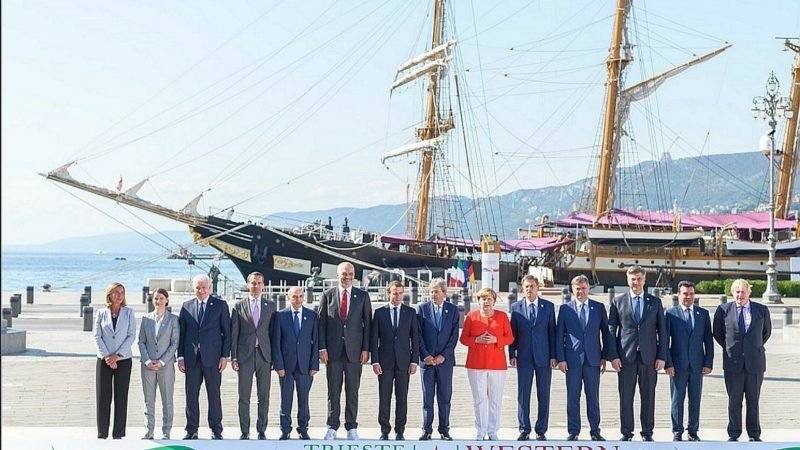 The summit, held in Trieste on Wednesday (12 July) produced a Transport Community Treaty – a stepstone in connecting the region with the EU’s transport market – which the EU said would “pave the way for infrastructure improvements as well as better quality transport services throughout the region”. “By providing more stability, it will also attract new investors in the region and add to its economic growth. Finally, this Treaty will help the Western Balkan countries align their national transport laws with those of the EU,” the Union said in a statement. An EU document states that seven new transport projects in the Balkans were agreed at the summit, with an overall value of around €500 million, to be co-funded by the EU. It put the value of the Skopje-Sofia railway at €152 million, by far the biggest of the seven, with the EU grant providing almost a half, or €70 million. “Macedonia is a major winner at this summit. We have received concrete support for infrastructure projects, which is really significant for the process of linking Macedonia with the region and with Europe,” Macedonia’s Prime Minister Zoran Zaev told reporters in Trieste. The Bulgarian press quoted Prime Minister Boyko Borissov posing the rhetorical question as to why, in the 21st century, is there still no railway or highway between Sofia and Skopje. The answer is that since Yugoslavia came into existence in 1918, with Macedonia as part, Belgrade did its utmost to create obstacles to a rapprochement between Sofia and Skopje. The same reflexes largely survived the 1991 collapse of Yugoslavia, especially under the VMRO-DPMNE rule of Nikola Gruevski in Macedonia.